The new Allen N. Reeves Football Complex is our new football complex. 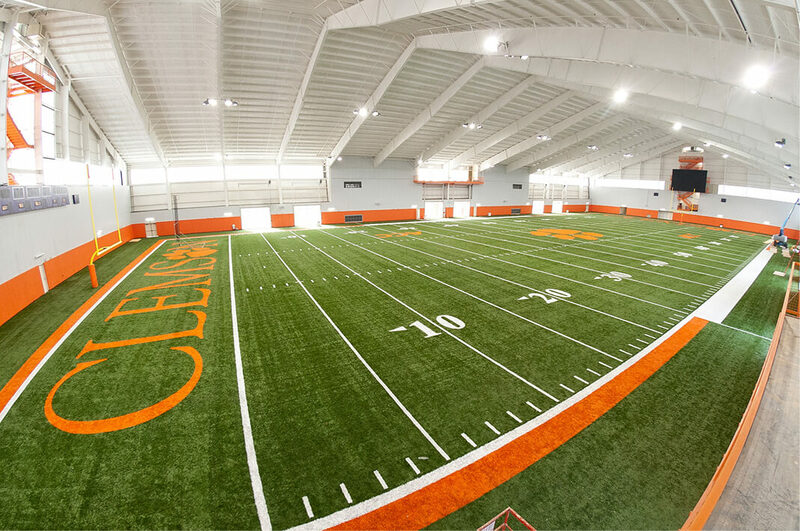 Coach Swinney describes the new complex as the “epitome of Clemson: fun, special, and the best in the country.” The facility provides members of the football program a truly unique experience you can only get at Clemson. 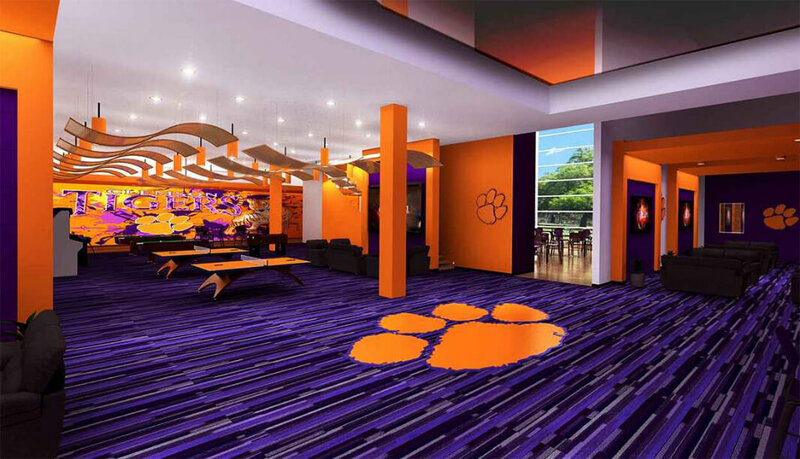 The refurbished locker room is one of the largest in the country and is right off the playing surface of Frank Howard Field. The two-story Equipment Room is one of the nicest in the country. 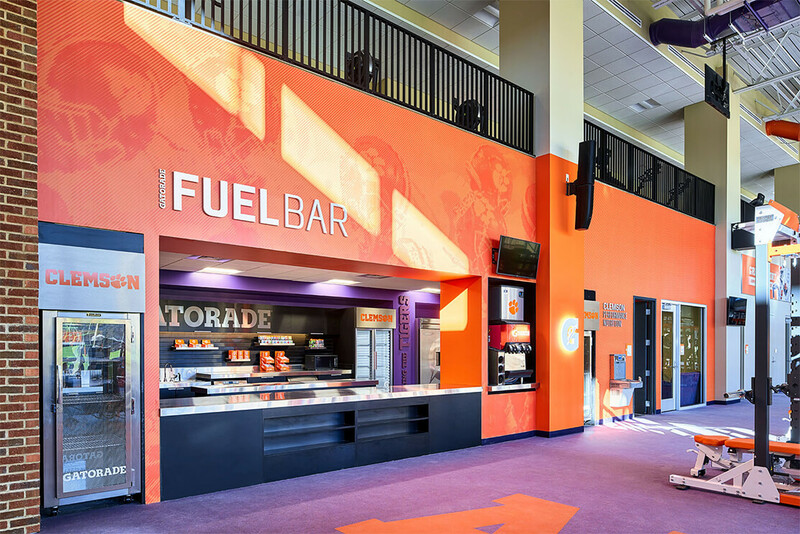 The newly renovated Tiger Fuel Nutrition Bar is located in the 12,000 sq. ft weight room. 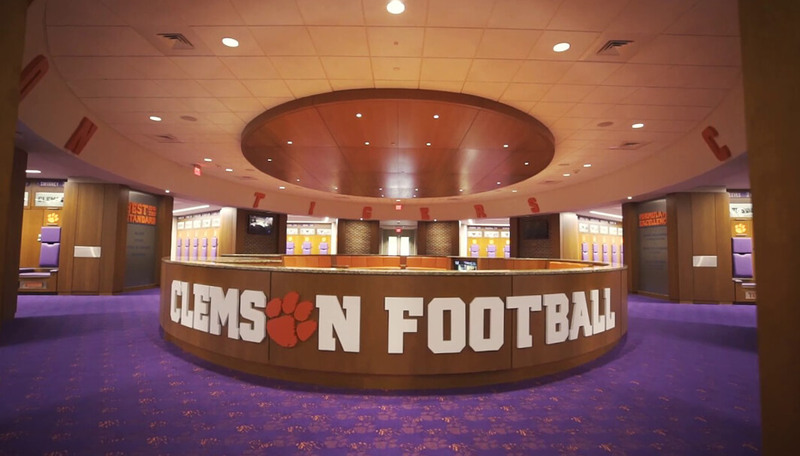 Pre-workout and post-workout foods, snacks and beverages are easily accessible to Clemson football players. A variety of energy, protein and snack bars fill a three-shelf bar display in the center of the Nutrition Bar; and fresh fruit, bagels, trail mix and other snacks are also available. 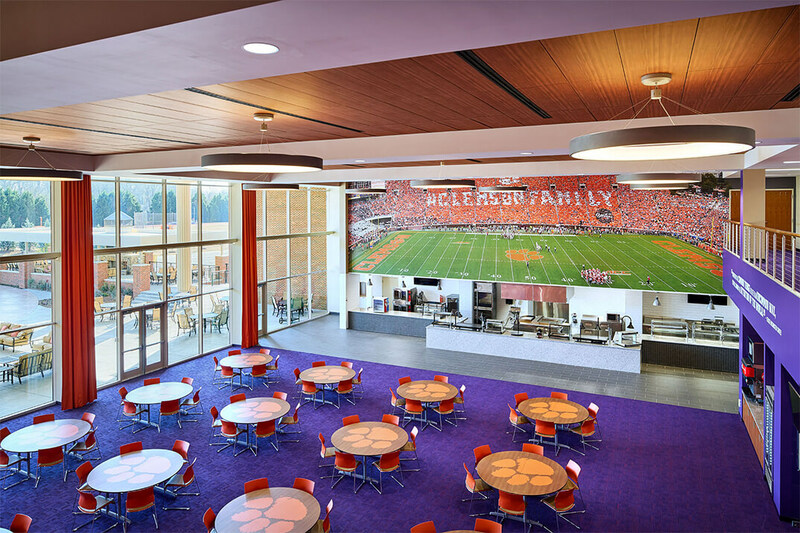 A new pass-thru refrigerator houses a variety of protein shakes including Gatorade, Rockin’ Refuel, Muscle Milk, and protein fruit smoothies made in our brand new Granita smoothie machine, helping Clemson football players recover after a lifting session. Vitamix Blenders also allow us to customize smoothies for football players with individualized needs..
Over 25,000 sq. ft. on two stories dedicated to football-only strength and conditioning.